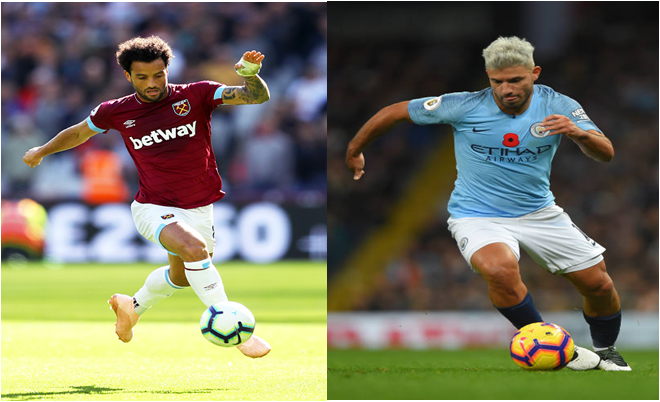 Manchester City will travel to West Ham as the Premier League returns on Saturday, City's are ready to grab another three points that will keep them at the top of the table. Pep Guardiola side are yet to be defeated after 12 league matches, as they are presently two point ahead of second-place Liverpool. West Ham boss Manuel Pellegrini is set to face his fomer club,With his side Unbeaten in their last three league outings. City's have bagged 13 goals during thier previous three visits to the London stadium,Including a 4-1 win in april. West ham have not taken a single point from Man City since January 2016. WEST HAM: Fabianski; Zabaleta, Balbuena, Diop, Cresswell; Rice, Ogbonna, Obiang; Snodgrass, Arnautovic, Felipe Anderson. MANCHESTER CITY: Ederson; Walker, Stones, Laporte, Delph; Gundogen, Fernandinho, David Silva; Sterling, Aguero, Sane.